‘Campo’ is a new vegan sneaker from Veja that is plant-based and biodegradable yet remarkably leather-like in terms of looks. Each and every component of the eco-friendly sneaker has been carefully considered, from the sneaker’s upper made with resin from the corn waste industry to the lining made of recycled polyester. When it comes to shopping for vegan-friendly footwear, many consumers are forced to settle for leather alternatives that are made from plastic. While these styles often make convincing replacements for leather in terms of looks, they tend to be harsh on the environment. 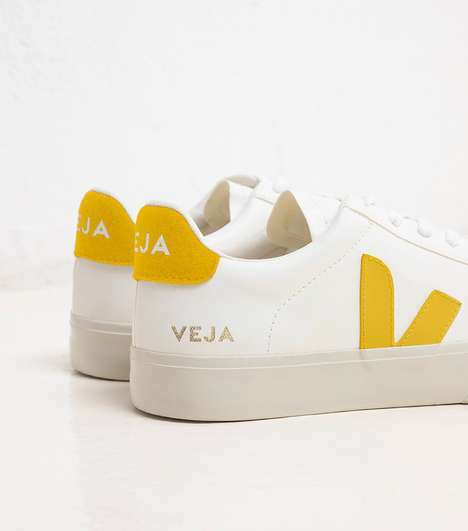 Similarly, many sneaker brands choose to make the soles of their shoes from plastic but Veja sets itself apart with footwear featuring soles made of wild rubber sourced from the Amazonian forest.